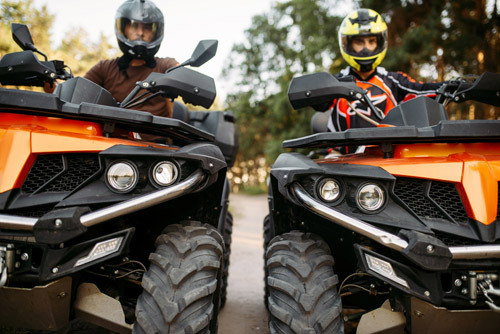 Your favorite ATV or motorcycle is just a loan away! The open road is calling. If you’re ready to buy a new ATV or motorcycle, we have a loan that fits the bill. Lower, fixed-interest rates make owning an ATV or motorcycle affordable, and can make for easier financing. Rates starting as low as 2.49% APR* for up to 36 months! APR*= Annual Percentage Rate. Rates and terms may vary depending upon credit qualifications. Contact your local branch for more information and loan application. Other rates and terms are available. Rates valid on New ATV’s or Motorcycles only.